The stock market in India centered in Mumbai is often called in Hindi as Mayanagari, for the aura and fantasy it has created in the minds of millions of common people across the length and breadth of the nation. Fantasy is the right word because of the money aspect that is associated with share market i.e. it is a money minting machine and thousands of people have become rich from it. And it is not totally untrue for sure as many people especially in Mumbai – Gujarat region have created a fortune for themselves in this mind boggling world of shares and stocks. 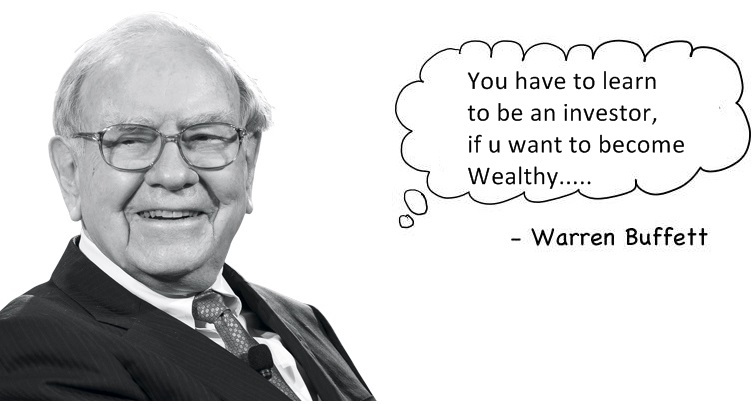 But then not each and every investor in the share market has had a pleasant experience on the road to riches journey. For some the journey has been a reverse of sorts i.e. from riches to road (penury). For some the journey has been nothing short of nightmare i.e. all the worries about the money that has been blocked in the market. And in the midst of all this drama, only one thing gets all the blame i.e. stock market. The stock market is all about cheats and cheating. Life time savings of millions of common people are stolen to make few dozen rich. It is only for the rich and the famous, middle class better stay away from it. But the bitter truth is – Stock market is perfect, more precisely speaking a purest market for that the functions of demand and supply function perfectly. It is an exclusive intellectual arena where knowledge (minute by minute information) gets precedence over financial resources. It is up to the individual who has to be not only updated but also upbeat about the happenings in stock market. He has to reorient his mindset about learning a new thing where his knowledge is zero – in this case the stock market. Investing is for medium to long term whereas gambling is spot (not even short term). Investing is linked with growth of the company where we put our money whereas in gambling we are risking our earnings for our greed hoping we will become rich. Our investments are documented (share certificates, deposit forms) which is not the same with gambling. As mentioned in the previous point, investing is related to the activities of the company. So people should invest time reading business magazines and newspapers which will give them systematic updates about economy – demand & supply, products & services, government policies etc and correlate that by getting an insight into company affairs ­­ – management, ownership, annual reports etc. All this learning can be supplemented further by reading books on share market investments written by famous authors (who are themselves investors) and also looking at the internet videos of stock market gurus like Rakesh Jhunjunuwala, Basant Maheswari etc. Any person following stock market news and reports will say that it is all about numbers and figures. So an aspiring investor should develop a mathematical mindset prior to investing in shares. He should start observing the share prices in newspapers and TV channels note them in a notebook or excel sheet and observe a trend analysis over a period of time. He should learn from internet things like reading a balance sheet, calculating ratios and monitoring cash flows etc. One reason investors land in a financial mess is that they invest bigger amounts in shares from the very beginning hoping to become rich at the earliest. Some of them go to the extent of borrowing money at interest. And when stock market goes down people not only lose their savings but also have the burden of repaying the principal amount and interest. It is wise to invest small amounts and that too with our own earnings in the beginning. Many stock market investors (up to 95%) concede that they have never made money without losing it. People should not be upset for long time about the money lost because it should be considered as tuition fee for the valuable lessons gained from losses. Investors should not get carried away by small gains that accrue from initial trading. Indulgence in the form of shopping, entertainment, car loan etc should be avoided at all costs. Instead people should reinvest that money in few more investments that accrue huge returns in long term which would help accumulate a large fortune. There is a famous saying with regard to finance – “Do not put all your eggs in the same basket”. Just as experts recommend people to not restrict our savings just to shares but also to mutual funds, deposits, bonds e.t.c even within shares, investors are supposed to diversify their investments into multiple companies across various industries. So even if a particular company or industry does not perform, there is some hope that money will appreciate in other investments. In 2009, when Satyam scam happened, the share prices of IT sector were impacted. It was revealed that hundreds of Satyam employees who had invested 40-50% of their savings in the shares of Satyam lost heavily because of decrease in share price. Lastly, History is a proof that investors who have invested in stock market for a long time have really created a fortune for themselves. And people, who foresee long term, do not get carried away by elements of greed, panic, comparison for unguaranteed short term benefits. It can be carried out just like any other profession because of the element of knowledge involved and which should be exercised by patience and presence of mind.